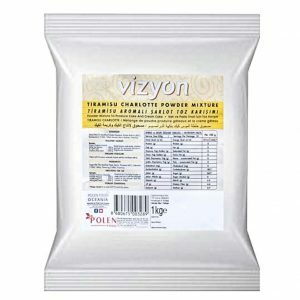 Vizyon Charlotte/mousse powder mixture is used as a filler for cakes and pastries, but it can also be served on its own as a mousse. 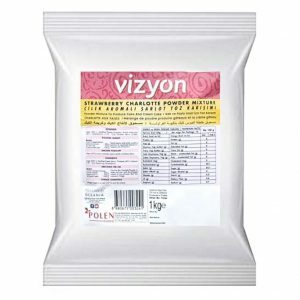 It doesn’t have the rubbery texture associated with a gelatine base prepared mousse. 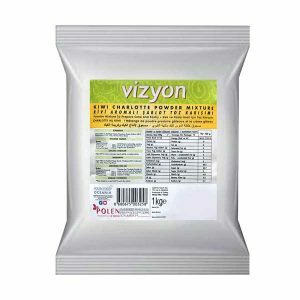 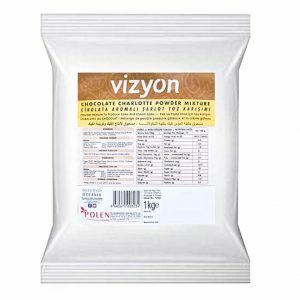 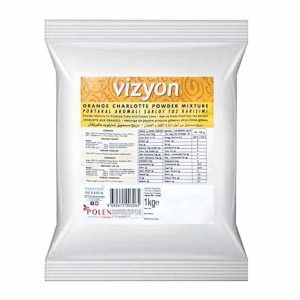 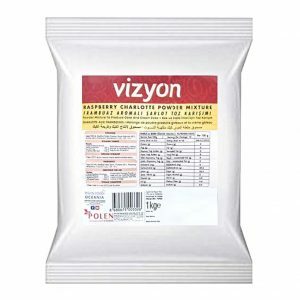 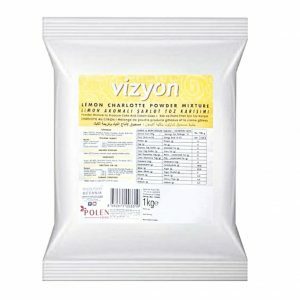 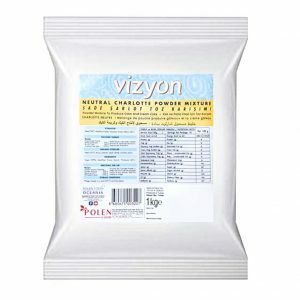 Various fillings, flavours and colours can be added to the Vizyon Charlotte mixture, or choose from range of pre-flavoured & coloured powder mixtures.